We think that in addition to growing food for our community, it’s important for youth to be able to learn on our farm. In that spirit, two AP Human Geography classes from James River High School ventured here for a field trip this week. In addition to a tour, lots of Q&A, investigating, and enjoying the warmth of our greenhouses on the very chilly morning, these students got to do some work. 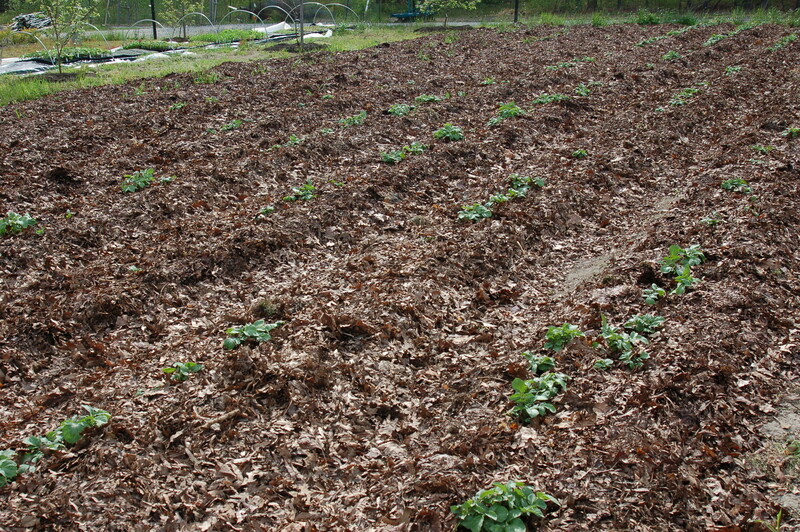 They spread compost on beds. They mulched potatoes. 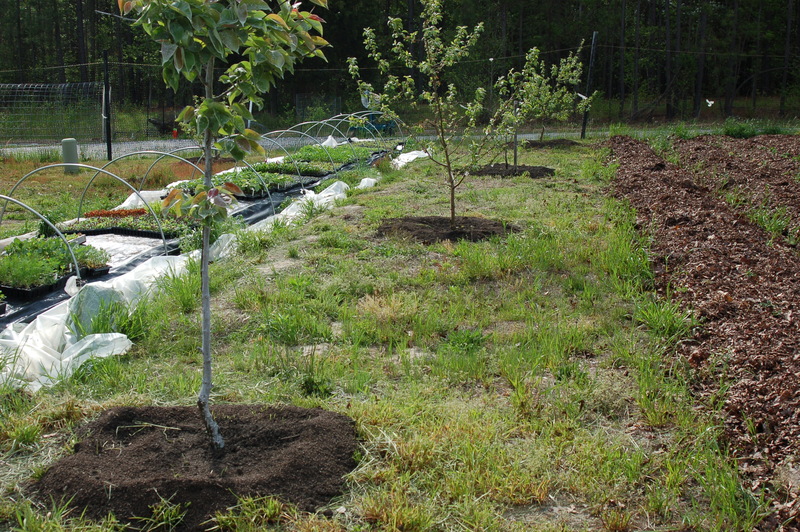 They spread compost in the orchard. They also weeded and spent plenty of time observing chicken behavior. We’re grateful for their presence and contributions! Spring Farm Tour: THIS Saturday, April 27th, 4:00 pm. 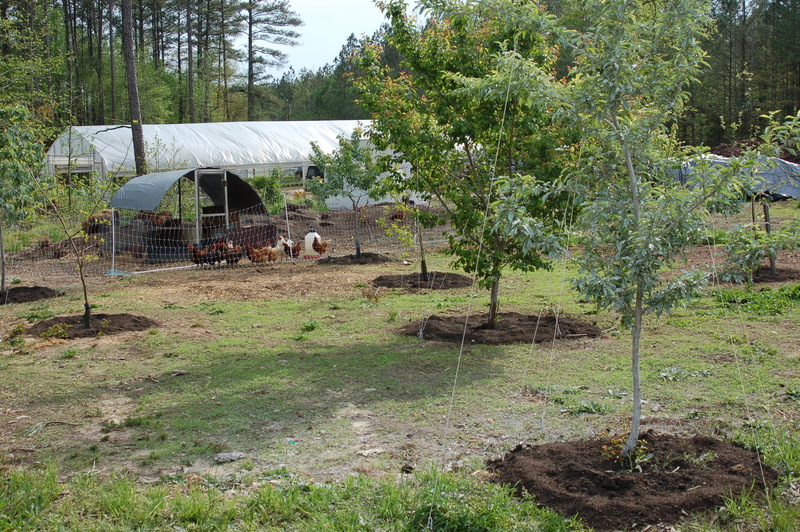 Learn about small-scale, sustainable agriculture as we show you around our farm. 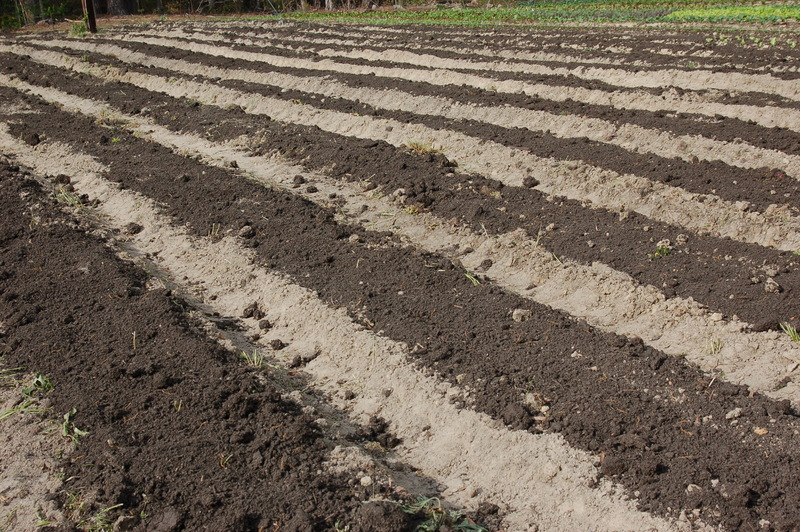 We will point out what your food looks like while growing in the ground and share our methods for growing. Family friendly. No fee. Please, no pets. We hope you will join us! Driving directions on our website.